If you are new to Social Media, or concerned about SEO and don’t know where to post content to drive your SEO efforts, then this graph will be your best bud. Thanks to @rebeccaslosberg and @janetaronica for passing along. Great graph for Social Media newbies. Honestly, outside of the networking and vendor showcase, I rarely feel the need to attend any event, including SXSW. Would it be cool to attend SXSW? Yes and I probably will, but ultimately I dont feel like I am missing out. Look at my right RSS feed for SXSW…follow the giant green arrow! See it? Follow that RSS and check it about 2 weeks after SXSW. Everything you could possibly want will be there to get you caught up. If I am wrong, let me have it. 😉 As for other events, I encourage you to try this with events you cant attend, but want to. Just be sure to keep an eye peeled for session #hastags. Most them will have sub hashes- so be aware of that. If you are new to LinkedIn Groups, but in business to make money. 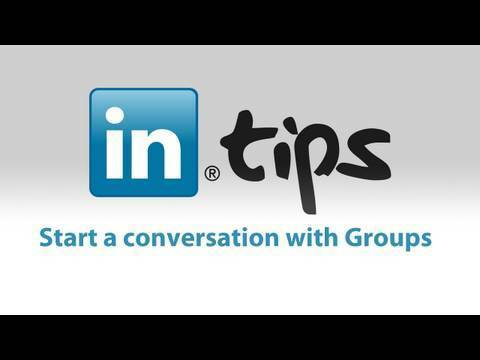 Here are ten idea’s to help you manage, engage and empower your LinkedIn Group members. This will ultimately result in brand extension and ultimately new business. 1) Send a personal welcome message from the Group Manager with a personal invite. Add in some points of interest from the group and 1 call to action with special offer for being a Group Member. This can be a product discount, an invite to a private online event, opportunity to enter a contest, be a guest blogger. 2) Send out one, non sales, email a month with a helpful tip or article that is not within your corporate website. No sales, all helpful! This will help the open and action rate. The other email each month can be more promotional. All in, 2 emails to the group a month, one helpful, one somewhat promotional but also extending value. 3) Pick 3 Groups on LinkedIn to engage in and invite members to join your group. In a perfect world your will be able to identify members of those groups that are not currently your customers, and invite them to the group to taste the value. Many times this depends on how advanced your CRM is. 4) Empower members who comment and post to do more of it. Pay attention to what is happening and react accordingly. 5) Ask questions once a month. These questions are exclusive to the LI Group and can be coupled with the helpful tip email. 6) Contact non LI Group Members and ask them to join. So outwardly ask in your companies mailer for them to join and receive some additional offers and insights not available on your corporate web presence. The more numbers you pile up, the greater the desire to join from organic folks who find your group on LinkedIn. 7) Poll them once a quarter. 8) When Linked In rolls out new features, email them with an explanation on how to use the new features. Then roll in company offers and other pertinent brand events. It gives you another reason to reach out. 9) Empower members to promote their business within the group. It will spill over into your corporate site and brands once they beta test it within the LinkedIn community. 10) Include your LinkedIn Group link in all of your auto signatures in addition to other social profiles that might already be there. 11) Pull in relevant RSS feeds. Not to many, try to limit it to 3, and don’t share all of your unique content from your corporate site within the group. The LinkedIn Group should be an appetizer to your brands main course. 12) If you are a retail company, get on Groupon now and link it to your LinkedIn group. Smell what I am cooking? Twitter is not a high school popularity contest. I, like many of the legacy Twitter users, utilize Twitter to learn from my peers to better be able to do my job. I/we use it stay in touch with valued thought leaders in the business industry in which we work. Ashton may have successfully beat CNN, but CNN’s value proposition is apparent. Their Twitter posts will keep me up to date on the news-real time! Ashton, what is your value proposition? Are you going to tell me who the latest person is you punk’d? If so, I will stop following you as quick as I followed you out of sheer curiosity. That curiosity is to see what you do with your million followers. Needless to say, I have long since unfollowed @aplusk. Lets be honest- he uses Twitter exclusively to push his message. Yep, he is doing alot for Malaria- I get it. But he is also doing more boasting about how “cool” he is, and only mentioning his fellow celebs. Meanwhile, have a look at @aplusk‘s level of engagement- or lack therof. No comparison! Here is the point. Share, engage, empower and thank– “SEET”. All the right ways to use Twitter whether it be for personal or business use. Daniel does that and Twitter is a staple of his show that ultimately lowers the cost of advertisement. Why? Because the engagement continues all week until the next episode on Comedy Central at 10:30PM EST. That engagement on Twitter keeps the viewers engaged, even when the show is not airing. The business intelligence spawns new ideas for the show. In the end, Tosh.O is a completely organic user generated television experience. Daniel is simply the moderator and facilitator. Brilliant when you think about it. One day businesses will engage their constituents in the same manner – maybe with a little less crass of course! Thanks for reading, and let me know if I am remiss. Oh, and you are welcome for “that” part of the video embedded on the link above! If you watched it, you know what I mean! Yuck!